The Old Lady in Sekiro is an NPC that asks you to bring her Rice, but it can’t just be any old Rice that you can find around the game. 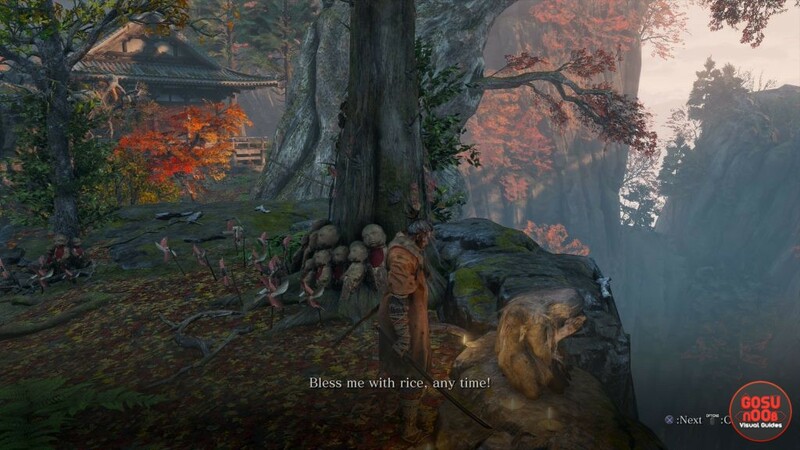 Instead, the Sekiro Old Woman demands a very specific Rice. And there will be a lot of hoops to jump through in order to obtain that specific Rice in Sekiro. That being the case, here’s our Sekiro Where to Find Rice for the Old Lady guide to show you how to get the special Rice that the picky old woman wants. Believe me, it’s way more complicated than you’d think. How to Get Rice For Old Woman in Sekiro? To get the Rice for the Old Woman, you’ll have to unlock an area called The Inner Sanctum, and that’s way easier said than done. The whole thing starts with killing Genichiro, so please be warned, SPOILERS AHEAD. If you have not yet reached or killed Genichiro, bookmark this page or something and come back later. Still here? Alright, don’t say I didn’t warn ya. Let’s dive in. Once you kill Genichiro, you’ll get what amounts to a new hub in Ashina Castle. Speak with Emma, then Kuro The Divine Heir, until Kuro mentions Isshin Ashina. Then, speak with Emma again, and thenAfter you’ve done that, go outside and follow the trail of purple smoke to Isshin. If he’s not there, you’ll have to complete the Rats quest for Tengu of Ashina. Talk to Isshin, and make sure to talk about the Mortal Blade. After that, travel to the Main Hall Idol in Senpou Temple. You can reach it from the large bonfire, by going up the stairs. The door leading towards it is near the three straw-hat enemies. Inside, you can find the idol, some items to pick up, and an NPC to chat with. What you’re looking for is a small bell lying on a desk between two golden flowers. Ring the bell, and you’ll be transported into a new area, in which you’ll have to kill four Folding-Screen Monkeys. One can see you from a mile off, one can hear you from a mile off, one makes noise and causes the others to run away, and one is flat-out invisible. You’ll have to use all the tricks at your disposal, including suppressing your presence and using the environment to your advantage whenever possible. For more detailed, info, check out our Folding Screen Monkeys guide. After you kill the Folding-Screen Monkeys, the game will then transport you to the Inner Sanctum, at long last. Go inside the Sanctum, and speak to the NPC called Divine Child of Rejuvenation. Ask for the Mortal Blade, Fushigiri. When you get the weapon, speak to the Child again. When asked why you seek the blade, say that you want to sever the Dragon’s Heritage. You’ll then finally receive the Rice. You can come back here after a while, and get another portion of Rice, but you can apparently only hold one at a time. Now, all that’s left to do is return to the old lady and hand her the coveted Rice.